Hello lovelies! What are your plans for the Holidays? Will you travel or spend time with your family? Today's outfit is very romantic and classy: skater dress with sequins and beads embellished around neckline; leather pumps; pearl-beaded clutch and delicate jewelry. This look is perfect for both Christmas and New Year's parties! Olá amadas! Quais são seus planos para as férias? Vai viajar ou passar o tempo com sua família? O look de hoje é bem romântico e elegante: vestido bordado com lantejoulas e miçangas em torno do decote; sapatos de couro; bolsa clutch bordada em pérolas, joias delicadas. Este look é perfeito para as festas de Natal e Ano Novo! That dress is so pretty! You can never go wrong with a gorgeous red dress. Nothing beats a red dress for the holidays!!! Follow each other in GFC and G+? Adoro esse vestido =) que mood natalício! Adoro mesmo o natal, que este ano será passado em Lisboa e provavelmente não optarei por um look tão arranjado e elegante, mas algo intermédio...em que me sinta confortável. Por isso ainda tenho uma roupa para escolher ;) mas de salto altos não estarei de certeza. Comecei a seguir.te ;) Faz também uma visita ao meu blogue e espero que gostes do que tenho publicado por lá! Amazing dress I fall in love with it!! Adoro, o vermelho é uma cor tão bonita! oh, my, how gorgeous is that dress! Gorgeous red dress. I love the decor around the neckline. Perfect little touch. Great find. The dress is gorgeous! I'm super excited to spend Christmas with my family! 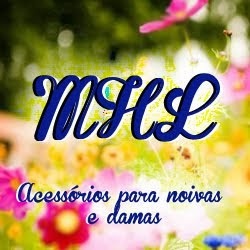 ai adoro, que combinação linda! Nossa que vestido maravilhoso!!!! Babei muito aqui. Really love this selection for a festive look, thanks for sharing! Decidi que vou passar o tempo com a família, visto que não vou ter férias! Esse vestido, é lindo! quero vestir assim nesta época , muito elegante. What a gorgeous festive suggestion! Absolutely love wearing red for Christmas! Gorgeous dress. Loving red for Christmas time. that dress is so cute!!! That dress is perfect for Christmas! Que vestido mais lindo, desejei. I love this red theme for xmas. I like that dress and shiny pumps :) Great post. love the red!! so festive and bright. Red is the Christmas colour in general and I love the red dress! Love this dress! Its perfect for new years night! Love the bright red hue! I'll finally have a week to relax with the family in our weekend home! Loving the design of your post ! Lovely.. Merry Christmas in advance. I love those red heels! I think red is not my color but I'm willing to try wearing it this Christmas! Thank you for the inspo! Amo vermelho e acho a cara do Natal. Well you can never go wrong with a red dress! Loved the heels and clutch as well! Have a nice week, Jessica! Amei o look, vestido super elegante pro Natal! Amazing and festive look Jess! I love red dresses, especially at Christmas! Happy Holidays! That sequin and bead embellished red skater dress is beautiful! It does have a romantic, classy look. Very pretty! I hope you have a merry and fun Christmas and a fashion-tastic year 2016! Such a gorgeous dress for the holidays! I want everything from this look! :D Red is one of my favourite colours! Predominância vermelha, muita beleza nos itens. Sapatos e vestido super lindos! Está perfeito esse look, com esse vestido divo. This outfit is beautiful, I love the color red so much. Hope you have an amazing New Year! Amazing post. I love this colour ! Red is my favorite color! Love what you paired everything with. Enter to win a pair of glasses/sunglasses on my blog! http://www.diaryofafashionista.com/2016/01/firmoocom-giveaway.html xoxo good luck! That dress is truly stunning! I love your color stories is really cute!! Have a great weekend!! Really appreciable daily outfit by this blogger. 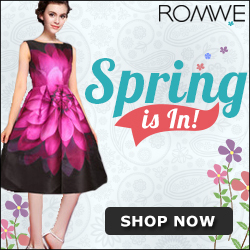 Wonderful collection of colorful dresses for women . I'm totally impressed. Beautiful red dress and shoes looking very cute and amazing. Great post and suggestion to select the dress. All of them are looking amazing!!! !